Ah, the sun-kissed days of summer! Growing up in the land-locked state of Vermont, summers never meant the beach for me. And living in the country meant there just weren't a lot of opportunities to swim. There was a beautiful lake nearby, but not within walking distance, and we were a one car family. The closest I got to swimming most of the time was "cooling off" in the brook down the road from our family farm. 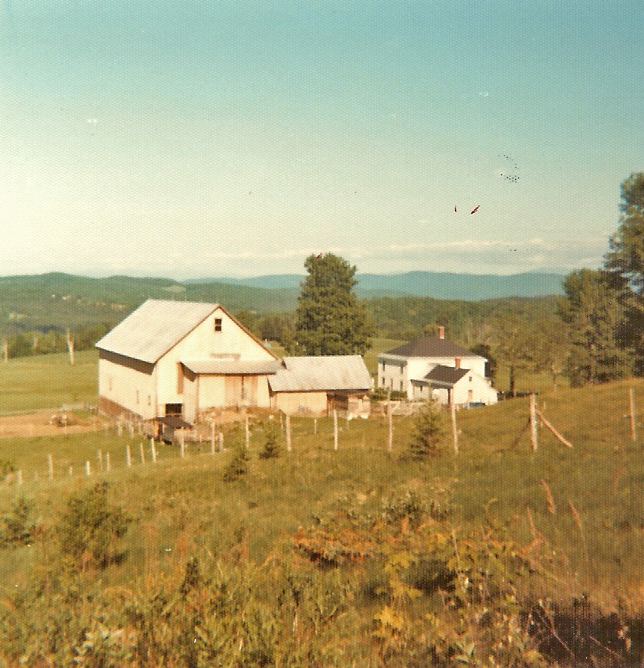 This was the only summer shot I could find of The Farm, taken back in 1977. Note the giant tree in front of the house... sadly it's no longer there. ﻿﻿﻿﻿﻿What summers did mean (besides freedom!) was an overflowing garden. ﻿﻿﻿﻿﻿And what we didn't grow ourselves, we bought from other farmers. 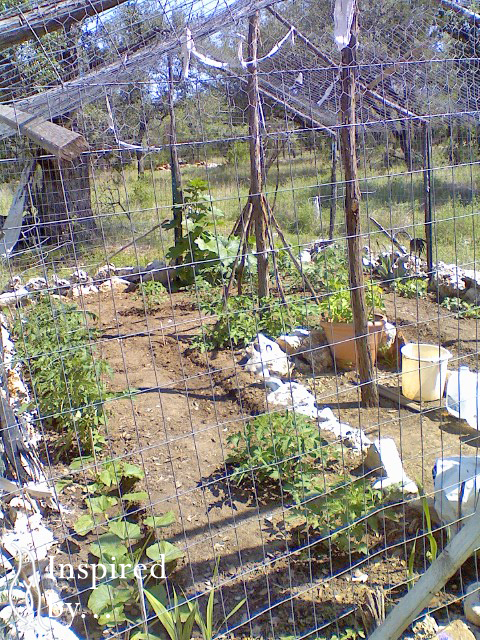 Strawberries, peaches, lettuce, cucumbers, beans, tomatoes, peppers, rhubarb, beets, carrots, and the list goes on. Canning, pickling, freezing, you get the idea. Despite all this bounty my parents were not great cooks. In fact, my mother rarely cooked. She was a nurse and worked the evening shift. My dad preferred baking to cooking. The task of feeding me and my younger brother usually fell to our grandmother. Our meals consisted mostly of a meat, starch and vegetable and were usually overcooked because Grandma would get lost in a book and forget she was fixing dinner. We didn't know any better... then. I really believe growing up with an abundance of raw foods laid the foundation for what later grew into a profound love of cooking. I'm comfortable with food, not afraid to experiment and I love to read cookbooks and recipes to get a feel for what foods, spices and herbs work together well and which don't. I still remember my first experiment with cooking. It was a cake, of sorts. One of the ingredients was A1 Sauce and I remember it didn't rise very much. Another early food-related memory is of my Grandma helping me prepare a four-course dinner for mom on Mother's Day. I don't remember how old I was, but I was young enough to need help in the kitchen and think French cut beans were fancy. I still think French cut beans are fancy, but now I often serve them with slivered almonds, feta and fennel. 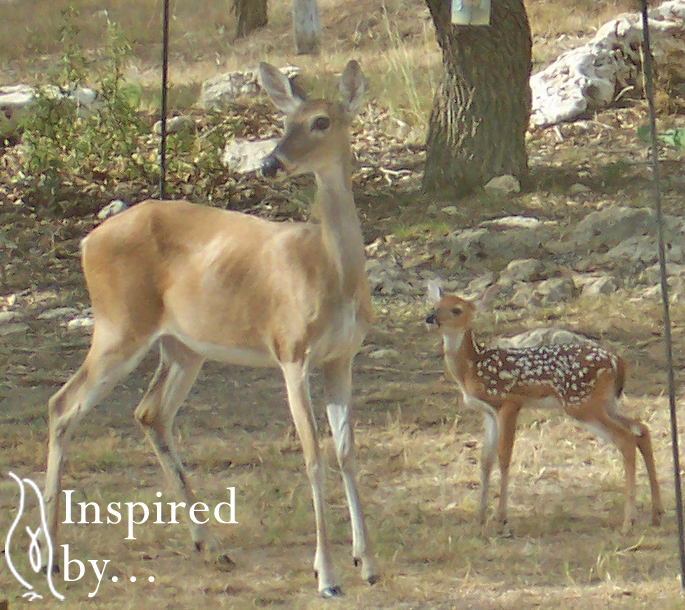 Where I live now, in the Texas Hill Country, it takes a lot of work to make our rocky, clay-filled soil produce. Dad made a pretty good go of it our first year here. Not the clearest shot, but not bad for being taken through a window. ﻿We are currently experiencing the worst drought in Texas history. That fact, along with the reality that my 82 year old dad can't get down on his hands and knees anymore meant we planted in pots this year. 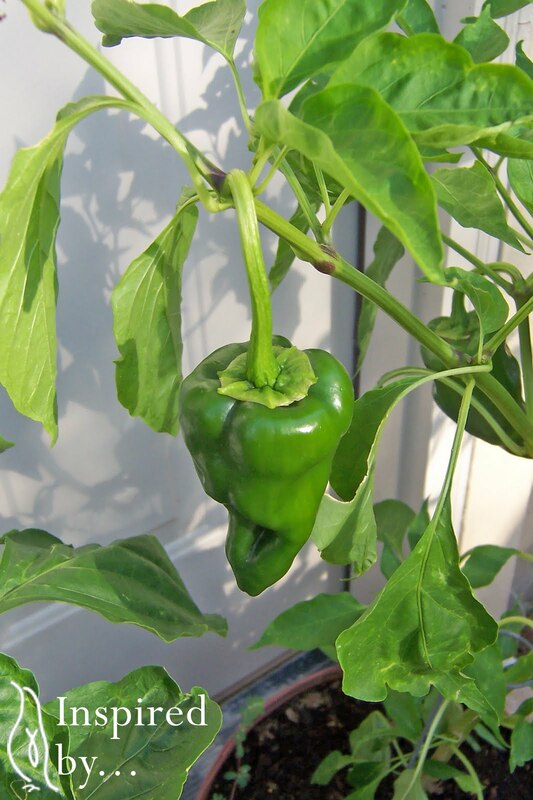 The pepper plants have been producing so well, I've been using them in just about everything. 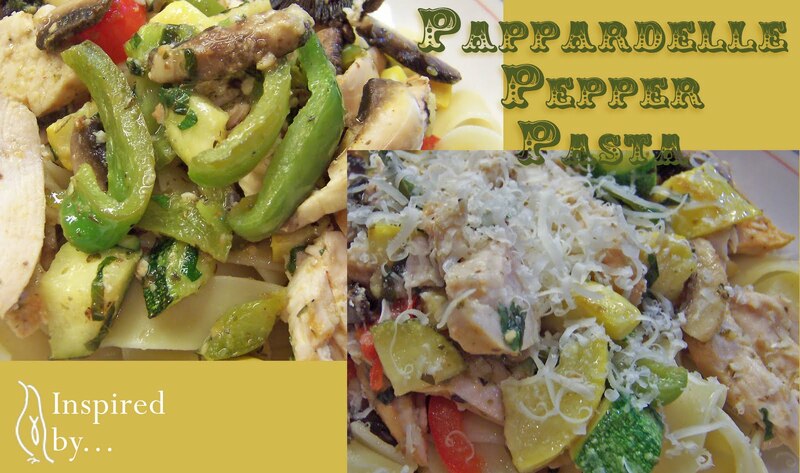 I love the versatility of pasta and make some form of pasta with veggies a couple of times a week. I don't follow a recipe, but I knew I wanted to share our peppers with you, so I did my best to remember the ingredients this time around. This dish is not heavily seasoned and relies on the individual flavors of the vegetables and herbs. That being said, vegetables harvested from your own garden, or purchased from a local farmer's market are going to taste better. Bring a large pot of slightly salted water to boil, add pasta, cook 8-10 minutes, drain. While pasta is cooking, heat oil in large saute pan. Saute garlic, bell pepper, zucchini, yellow squash and marjoram until vegetables are tender. About 5-7 minutes. Add chicken, mushrooms and fresh herbs. Multi-blade herb scissors are a must if you like cooking with fresh herbs! ...but if you don't have any, you can mince the oregano by hand. 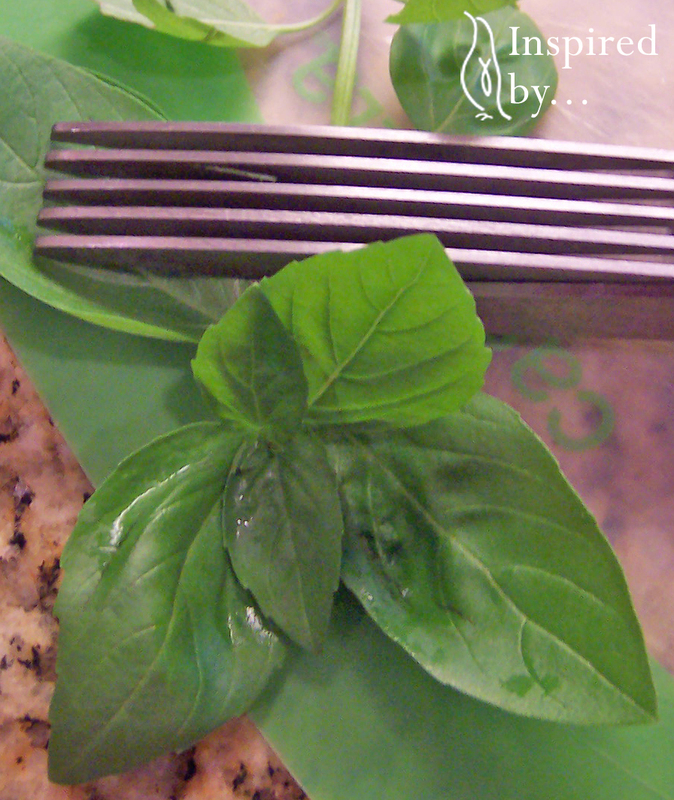 The basil is easily slice into strips after rolling the leaves. Cook another 3-5 minutes to allow the fresh herbs to release their flavors and heat the meat. Toss with pasta, add some shredded Parmesan if you like and serve. The ingredients listed above made 3 healthy hefty servings! My hubby always wants to know, "Where's the meat?" so I often use the pre-cooked roasted chickens (available at most grocery stores) or jumbo shrimp in recipes like this. 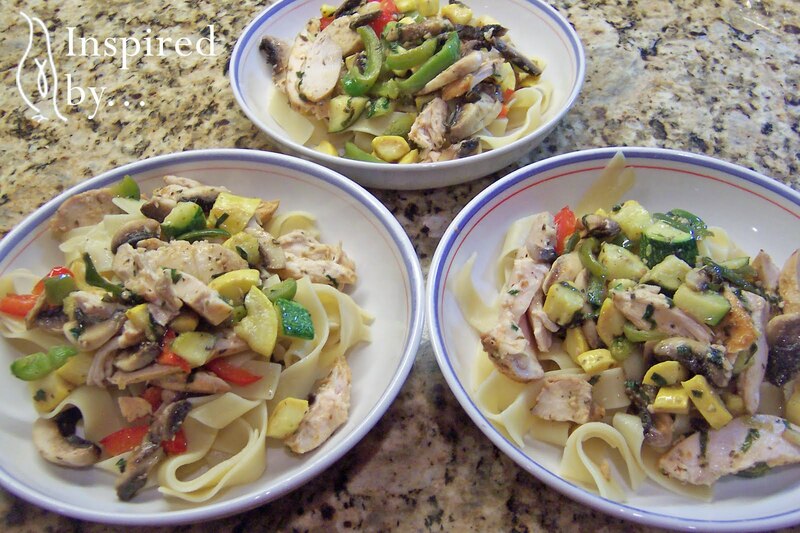 You can easily change up the veggie, herb and pasta (bowtie is a favorite!) combinations to match your taste. Remember, using seasonal vegetables will keep the cost down and flavor up. Fresh herbs always taste better, but unless the recipe your making is specifically trying to highlight the herb for the herb's sake, you can usually substitute dried. Not sure how much? 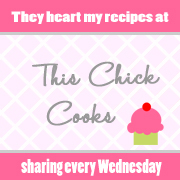 One of your cookbooks probably has a similar recipe you can use as a guide. Do you have a favorite "throw-together" meal? or tips for making this one better? I'd love to hear them! 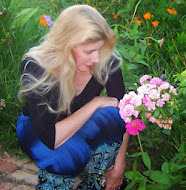 You have a beautiful garden! I too grew up land-locked and we had overflowing vegetable gardens! What a great way to live! I dream of one day having my own sprawling garden, but for now my little raised beds do the trick! Anyways, thanks for stopping by my blog today! I'm going to try this recipe, June! 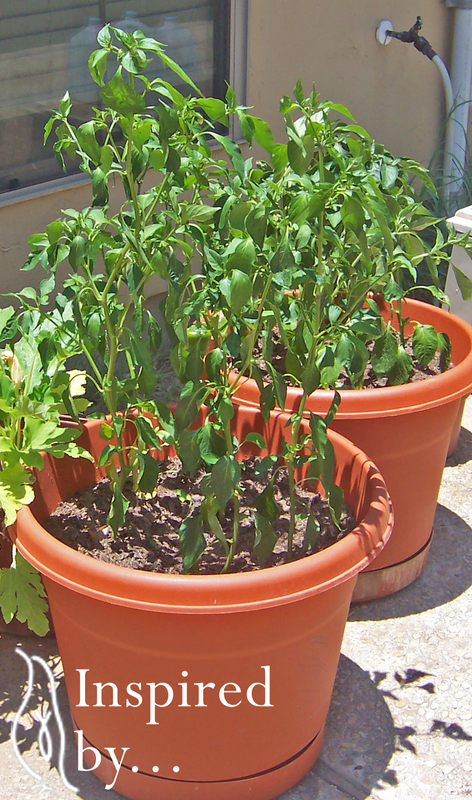 I am growing a few herbs this year and basil and oregano are 2 of the ones I'm growing! Thanks for the inspiration! Also, thanks for commenting on my blog for my portion of the blog train! And, I see you are a Christian! Love it! So am I! Thanks for sharing!